Public trash can / PVC / for public spaces / contemporary - GARBAGE 145 - DIMCAR s.r.l. Truncated-conical structure made of PVC with hinged lid and folding manually on the back. Side handles obtained during the molding phase that optimize gripping and lifting. 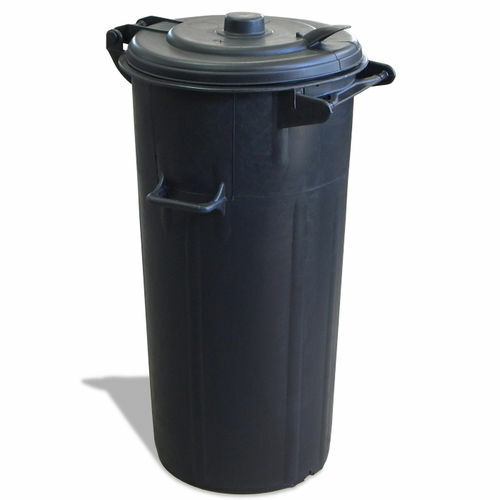 Black color, lt.100 capacity.